Your rental Studio in Munich for photo and video productions, events, castings, auditions and first-class product presentations. Our studio is conveniently located at the Mittlerer Ring Munich. Taking your requirements under consideration, we calculate our rental fee for each individual project. The studio is equipped with a great range of lighting and cameras! Thanks to our in-house postproduction, you are able to review your results immediately. Take advantage of our large and separate make-up and styling room. 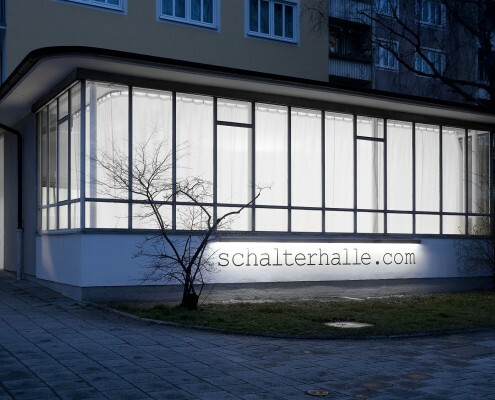 Schalterhalle is a well-equipped studio available for rent in Munich. The location can be used for many different purposes and is full serviced. 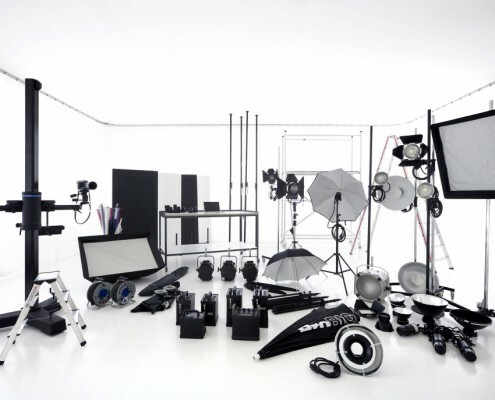 Aside from the studio, photo productions can rent professional equipment. Also, Schalterhalle offers the possibility to work with an in-house post production. Thus, photo productions have the unique opportunity to realize all steps of a project from beginning to end at one single location. 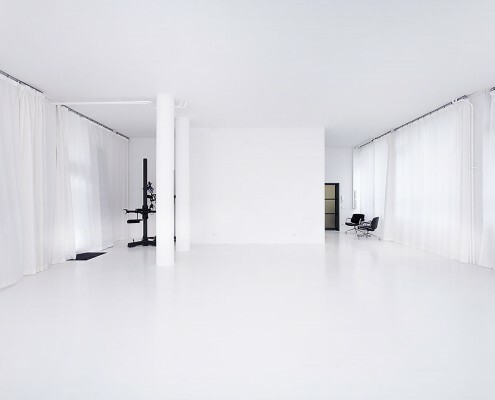 The studio is conveniently located in the city of Munich and is also suited for film productions, castings, workshops, seminars, presentations and other events. It can also be used as a showroom for fashion collections. 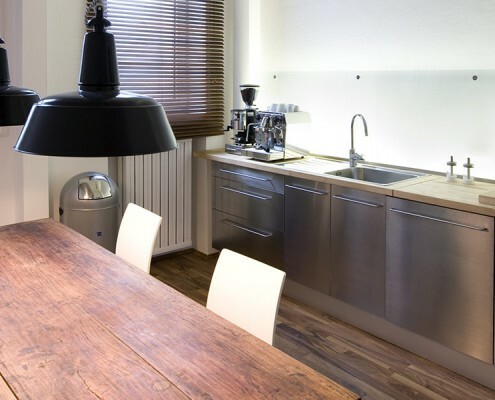 In addition to the studio area, there are a separate styling room, a large kitchen and sanitary facilities. The driveway to the studio is at ground-level, parking is available right in front of the large studio gate. Over and above the premises, Schalterhalle offers a number of services for individual projects on request. For example: arrangement of castings, preparation of catering, service of a photo assistant etc. Please don’t hesitate to contact us should you have further questions! Benefit from our driveway to the studio at ground level – no elevators or stairs, no need to lift up any of your equipment when checking in to Schalterhalle. Parking is available available directly in front of our large studio gate. For shared use free: breakfast, coffee, large studio tripod / light stands, kitchen with large dining table (about 8 people), Wi-Fi in the entire studio premises, mobile oven for food productions, electricity, heating. Your satisfaction is the top priority for us! On request we are happy to assist you in organizing castings, catering, set building, styling, hair and make-up.